Dr Spence's work includes articles and books on both intellectual property law and the law of obligations, with a critical focus on suggested ethical and economic justifications of the existing regimes. He remains a consultant to the London law firm, Olswang and serves as a WIPO Arbitration and Mediation Center Panelist. He has lectured on intellectual property-related topics around the world, and held a number of visiting appointments in Boston, Munich and Siena. He has twice been a Parsons Fellow at the University of Sydney Law School. 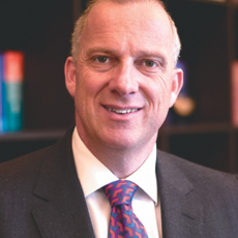 Dr Spence has served as head of the Law Faculty at the University of Oxford and most recently, was Head of the Social Sciences Division, one of the four Divisions that make up the University. In this capacity, he reported to the Vice-Chancellor of Oxford as part of the small team that served the University as a whole, and was a member of its Council. Dr Spence is the University of Sydney’s 25th Vice-Chancellor.